Vespa Saddle Seat Black Color Small Frame in top, quality. 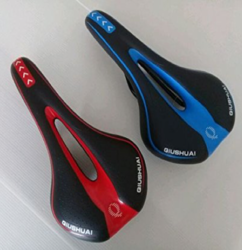 We can supply black, brown, colored or multi-colored saddles as per customer requirements. Our range also includes steel frame with springs and wire base saddles. Durability and shine PVC Leather Cloth makes sought after. Varied design, pattern and styles make it versatile. And protection from dust and other damages makes it stunning. The largest selling product of Veekay Polycoats Limited is PVC Leather Cloth, commonly known as PVC Coated Fabric or Rexine or Artificial Leather. We sell half cord, full cord rubber seats. Also we sell colour seat as well as multiple coloured tyre seats. We provide gurantee on these products. We are offering Gel Seats to our clients. 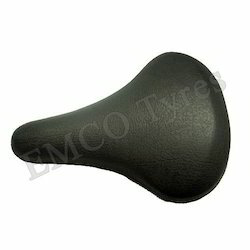 We offer cycle seat to our customers.